Since my daughter was a baby, I’d often dress us alike or in color coordinated. Now that she’s almost five, it melts my heart that she wants to dress alike and will request that we do. Though, in my opinion, she resembles her father more than she resembles me, I am so flattered that she wants to be just like me. We do have similar mannerisms and personality traits. Many people often tell me that I am a caring and thoughtful person. These are attributes I clearly see in her. Of course, I would never intentionally try to make my daughter a carbon copy of me. I simply want her to learn from me and always put forth her best effort. It am, however, flattered that my sweet girl looks up to me and wants to be my twin. Score! My Preschooler Wants to do Chores! “Mommy, can I help you clean? What chores do you think I can do?” my four and a half year old asked me. I asked, “What chores do “you” think you can do?” My daughter quickly responded, “I can dust, clean tables, rinse out my dishes. I can do anything you need me to do, Mommy!” Since my daughter was a little over a year, she’s express interest in helping out around the house and doing chores. She would grab her little broom to help sweep, and at three she was asking to help with the dishes. “I want chores to do too, Mommy,” Quinn says quite frequently as she sees me folding the laundry, vacuuming or doing any other household chores. Though I want her to enjoy her childhood and have fun playing, I am so impressed with my little girl. At a young age, she understands the importance of contributing towards our household, not to earn an allowance or treat but because she sincerely wants to help. My fingers are crossed that she continues on this path and is eager to do chores even when they are not so fun. “Mommy, are you coming to my school this week?” My little girl asked me with a big smile and eagerness in her voice. “Not this week, but I’ll be coming in next week. “Next week, we’ll be learning about the human body. Maybe we can find a book about it,” she suggested. At least once a month, I have the opportunity to come to my daughter’s four year old preschool classroom to read a story, participate with Shabbat (though we are not Jewish, we both enjoy the service and what it represents) and snack time. The last time I came, Quinn and her classmates were learning about the solar system, so she suggested that I bring in Dr. Seuss’s There’s No Place Like Space. It was a big hit with the children, and they were all eager to help out and identify the different planets. Little did I know, my daughter’s teacher was taking my picture as I read to the children. I remember when I was younger, and my mother would occasionally come to my class. It was a wonderful feeling having her there. Now that I’m a mom, it feels awesome being able to go to my daughter’s classroom. After each classroom visit, Quinn gives me a big hug and kiss and then thanks me for coming to her school. I hope as she gets older I’ll be able to continue to be a part of her world at school. “See, this little sister is color changing, and she squirts water from her mouth,” my daughter explained as she showed me the enclosed booklet. My four and a half year old was so articulate and had no problem telling me all about the different L.O.L. 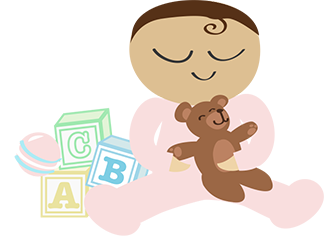 toy options and how these little surprise toys can be categorized. There’s Big Sisters, Little Sisters, Pets, and charm fizz all waiting in different size L.O.L. Balls in the aisles of Target, Walmart and other retail stores where children, young and old, empty the shelves hoping to collect all within a series or that special one that will fulfill the collection group. While they do come with little pieces and are basically knick knacks that amount to clutter over time, I do love seeing my daughter’s eyes light up as she unpackages her latest L.O.L surprise. She has even made an effort to take on chores around the house to earn them. I know I would have wanted them when I was her age, so I find myself laughing out loud as she surprised me becoming the teacher and I becoming the student learning all about L.O.L surprises.